It's not me, Apple Watch, it's very much you. That's how I'm feeling after two weeks of strength training with the Cupertino smartwatch. I'm ready to break up and see the other wearables. Why? 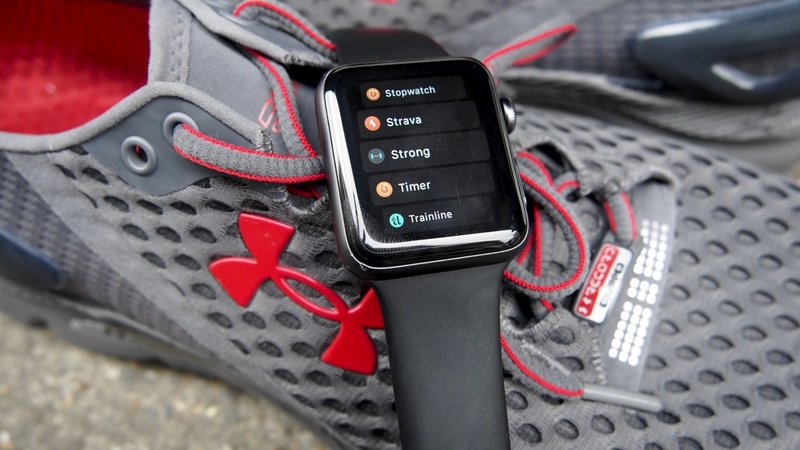 Well, don't get this twisted – the Apple Watch is a solid option for those looking to keep a basic tab on their activity in the gym, but it's far from a complete solution to keeping you motivated and achieving your goals in a more long-term setting. In case you missed last week's entry, I talked about how using the Strong app – pretty much the go-to for anybody looking to use the Watch as a gym partner – is a good introduction and allows you to record your exercises and reps. It's relatively intuitive, puts the the Digital Crown to good use and I've no doubt offers enough for some people to keep coming back. But the goal here isn't just to find a device that ticks a couple of boxes, and after spending another week lifting weights and logging with the Apple Watch, I've uncovered a few more grievances. Essentially, there's just not enough feedback to make the toil of logging every set worthwhile. I updated to the premium version of Strong this week in order to tap into the companion app's charts and to be allowed to add more than three personalised, pre-set workouts. And while this is a good way to track a certain exercise – for example, seeing your progress on the bench press over the course of three months of training – this doesn't really feel like value for the subscription. You would no doubt feel the benefit after logging for a longer period of time, but I have my doubts whether it's enough of a motivating factor. There are also issues with the app that have cropped up. Generally, I've been adding my exercises before heading into the gym, but it's quite hard to consistently predict how many sets you want to perform and it can be a hassle to constantly adjust when you're in a flow. On a good day, often you want to push yourself by adding a couple of sets or going through a slight variation of an exercise. Take Saturday's chest session as an example. I'd already gone through the regular bench and an incline chest press with dumbbells routine, but was happy to also add a decline press. I should be able to just add that to the workout from the Watch as I go along, right? Well, hold your horses. If you can find the exercise you want, which isn't exactly a guarantee given the fact you're sat scrolling through literally every exercise available (either in alphabetical order or a random jumble), things still aren't set. You can only add one set of that particular exercise, with no option to just add another load to a previously existing set, either. I still like the countdown to your next set, which has helped me get a decent amount of rest between sets, but I still think there's room for improvement when it comes to the in-session prompts. Outside of a couple of exercises, I'm bad at remembering what I lifted the previous session. It would be great to have a buzz or pop-up during your rest timer that gave you a bit of insight – "Last time, your second set of bicep curl was eight reps of 14kg. Try and match or better it in the next set," would be the kind of small addition that would really add value to the current shallow experience. So, the lesson I've learned is: The Apple Watch and Strong make a nice way to track what you're lifting, and certainly preferable to the old-school pen and paper, but the paid version isn't quite there and this is far from the solution to wearable strength training companionship. Holes exist within the Watch app, as well as the smartphone equivalent, though just where it will stack up by the end of this diary remains to be seen. For now, it's time to turn to the Fitbit Ionic.